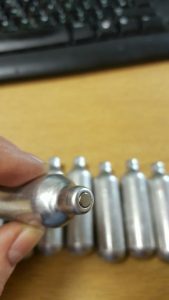 R+R were approached by an American company to develop a method of filling and crimping small metal canisters with liquid Carbon Dioxide or Nitrous Oxide. This posed a number of challenges – due to extremely high product pressures, low te mperatures, and forces required to swage crimp the canisters. R+R developed a prototype filling and crimping station, which could deliver liquid Carbon Dioxide into 8-gram capacity canisters to an accuracy of +/- 4%, and reliably crimp the seal. 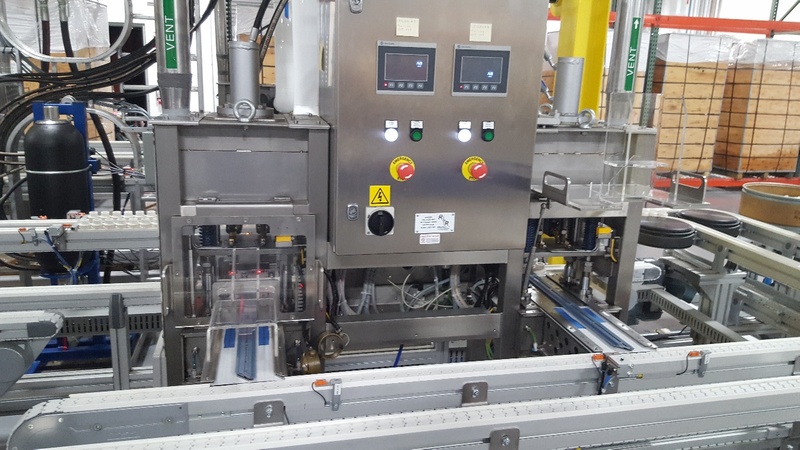 This prototype was successfullydemonstrated to the client, who then requisitioned full-scale machines for a 200 canisters-per-minute production line in the United States. R+R worked closely with the Client, tailoring the production solution to their requirements and the specifications of the transport and delivery mechanisms for the cannisters. The Machines incorporated product delivery, crimping of the cannisters, checkweighing, and removal of underweight or overweight cannisters – before passing good cannister on to the rest of the production line.